We're not actually sure what is going on in this picture. We don't even know what he's holding. But, considering it is Otis, anything is possible. What does he have in mind? What are they all looking at? If the scared look on Dawson's face is any indication, we would guess it is nothing good. Brett seems preoccupied by a victim to even notice, and Mouch and Otis seem unfazed. Casey is moving forward with his campaign for alderman. It looks like he has the schmoozing part down, not to mention the nice suit and a winning smile. But, will he question his decision when he realizes that some voters may have their own personal agendas for wanting him elected? 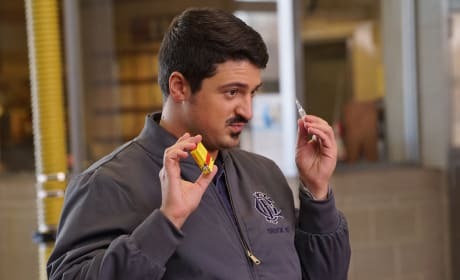 When Firehouse 51 responds to an odd call from a neighboring firehouse, the unusual circumstances prompt Severide and Cruz to investigate on their own. Firehouse 51 got a new firefighter, but what about a new paramedic? With Chili gone is Brett on her own? It looks like it in this picture of her treating victims solo. Perhaps a new paramedic is on the way and she is has to manage in the meantime. 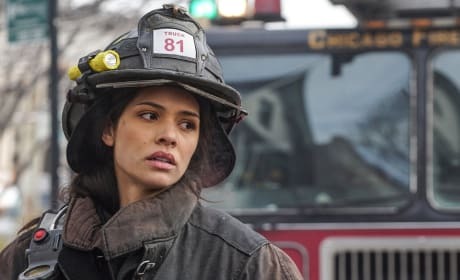 Meet new firefighter Stella Kidd, played by Miranda Rae Mayo. After Chili was just fired, we expected a new paramedic, but that's not what we're getting. Supposedly the new member of the house comes with repercussions. What will they be? 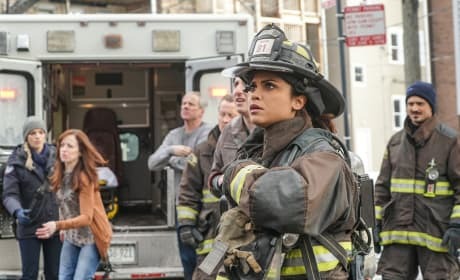 Dawson is no longer the only female firefighter at 51. 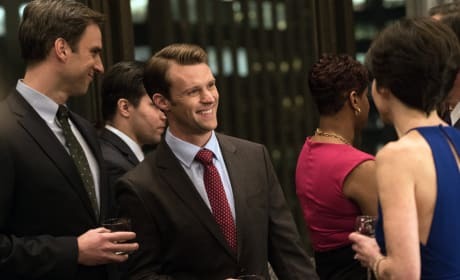 They already look like fast friends, could they have known each other previously? What will the rest of the house think of her?